Summer Fun ~ Chillin’ at the Pool and sending our friend, Liam, a message! This entry was posted in Video Gallery and tagged Puppetry, Puppets, Spike of Storytelling Fame on September 19, 2014 by jiaanp. 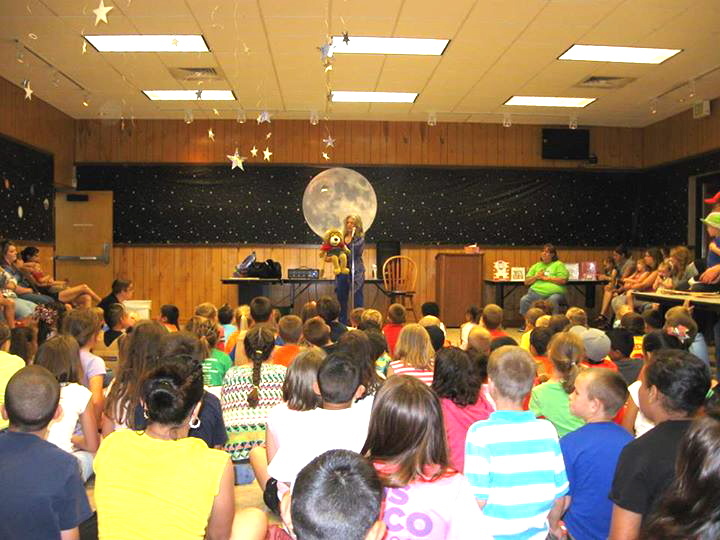 In June a great group of people joined us for storytelling at the Lovett Memorial Library in Pampa, Texas! Look at all the stars! That would be all of us plus the ones hanging from the ceiling! Hey, hey, hey! I hope school is going great for everyone! I had a great summer. I have to say I’m still chillin’ by the pool every chance I get! That’s one good thing about all this Texas HEAT. I had a fine summer with reading, traveling, and did I mention, chillin’ by the pool? Check out our photos from the Lovett Memorial Library in Pampa. Those folks are wonderful. And I got some good ideas from the kids. I’ll be passing those on in our performances. In August we did 2 Storytelling and Puppetry workshops for about 50 preschool teachers at Isaacs Early Education School in Plano, TX and Skillman Development Center in Dallas, TX. Those teachers were GOOD. And by the way, check out my newest video . . . it’s me, chillin’ by the pool with my friend, Anna. This entry was posted in Spike's Blog and tagged Folk Tales, jiaan Powers, Pampa TX, preschool, preschool workshops, Puppetry, Spike and Jiaan Powers, Spike of Storytelling Fame, storytelling, Storytelling and Puppetry workshops, Storytelling workshops, summer reading on September 18, 2014 by jiaanp. 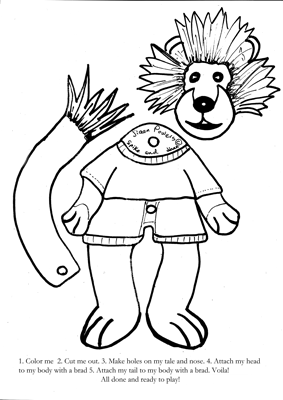 I thought you might like to have a pattern to make your own Spike puppet. I’ve included it right here! Have fun! 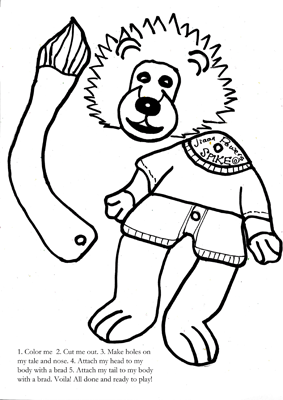 Save and print these Spike coloring pages so that you can make your own Spike puppets. It works best on heavier paper like cardstock. Click on the links below. This entry was posted in Photo Gallery, Spike's Blog and tagged 2014 April National Puppetry Month, Puppetry, Simple Paper Puppets, Spike and Jiaan Powers, Spike puppets!, storytelling on May 8, 2014 by jiaanp.